How do I go about my website redesigning? So you have a website and are planning to revamp it because you wish to have a more appealing web page, easy navigation, faster download, better design, fresh content, flash animation, latest technology and new features. All in all a site that reflects your organizations growth and current business line, but before finalizing on any web redesign company you need to understand the fact that website redesigning requires more technical expertise and understanding of the subject then just designing a new website. This is because over the years, every website becomes popular and gains some weight from search engines for its page url or path of its web pages. Be it a redesigning of a simple static site or a redevelopment of dynamic site with shopping cart and payment gateway, if you don't wish to loose the advantage what your old website is currently having then you need to have a professional web design company to handle your job. We at 7Sky, understand the above fact very well and see to it that we try maximizes the benefit not only from the new site but also from your old web pages. Although you had a great website few years ago which was looking like a winner, today it may look dull, old and tired. Another reason why all growing organizations should consider to revamping their existing site is to help them reposition companies brand or corporate image, reflect the growth the company has achieved, redo all the content and have more quality text matter on the new site rather then having some outdated content on the site. We help our clients to remake their complete site in a very smooth way, we explain them the critical areas were firms need to rework their strategies, if required we also recreate logos or creative and rebuild the whole website structure. All this at very reasonable and cost effective rates, we always see to it that we offer cheap prices to all our new as well as existing clients. While redesigning the website, care also needs to be taken that all the old urls are given proper redirects and the old pages doesn't show up 404 error pages. Also the coding of the rebuild website needs to be taken care off, in such a way that the same is not bulky and neither lacking of relevant info and is a content rich website. It will always help if the redesigning company is having knowledge of search engine optimization strategies, as then the designer can take care of some basic SEO work like making search engine friendly web pages and thus can help deliver reasonable traffic to the new site. 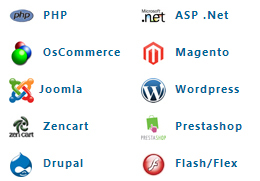 This is where you will benefit the most while redesigning your web pages with 7Sky. As we also specialize in Search engine optimization and search engine marketing services we understand exactly how to go about with the makeover of your site and take proper care of important things in the process of executing your redesign project, be it with or without SEO. We ensure you that we will be putting our best efforts and not only handle our work, but also give you some inputs and tips wherever necessary or asked for. So if you are looking for a website Re-design company then let us know your requirement, your current website address and we will get back to you with a redesign proposal which suits your requirement and gives you that cutting edge advantage over your competitors website.